Treat your guests to a little rustic comfort as they gather at your in home bar. 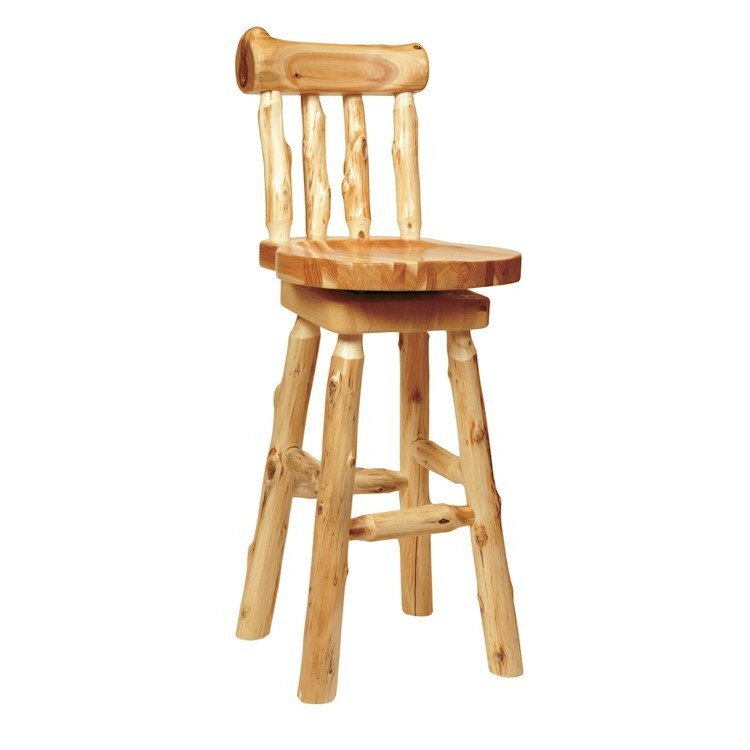 Our rustic Log Bar Stool with Backrest is individually hand crafted and made of hand peeled white cedar logs giving it a natural rustic look. Treat your guests to a little rustic comfort as they gather at your in home bar. Our rustic Log Bar Stool with Backrest is individually hand crafted and made of hand peeled white cedar logs giving it a natural rustic look. It is clear coated with a catalyzed lacquer finish for extra durability. It has a swiveled & contoured seat.